Lafourche Urgent Care offers a wide range of medical services. Lafourche Urgent Care offers complete Urgent Care Services for easy access to walk-in care with no appointment needed to the residents of Lafourche Parish and the surrounding areas. Our clinic offers services to keep your business moving with select occupational medicine services. Our clinic offers services designed to keep your business moving with no appointments needed. We treat work-related injuries including falls, lacerations, bone fractures, sprains, and burns, as well as a multitude of minor traumatic injuries. In addition, we offer foreign body removal (including injuries of the eye). When an injury occurs on the job, your company will benefit from on-site drug testing in addition to the treatment of the injury. 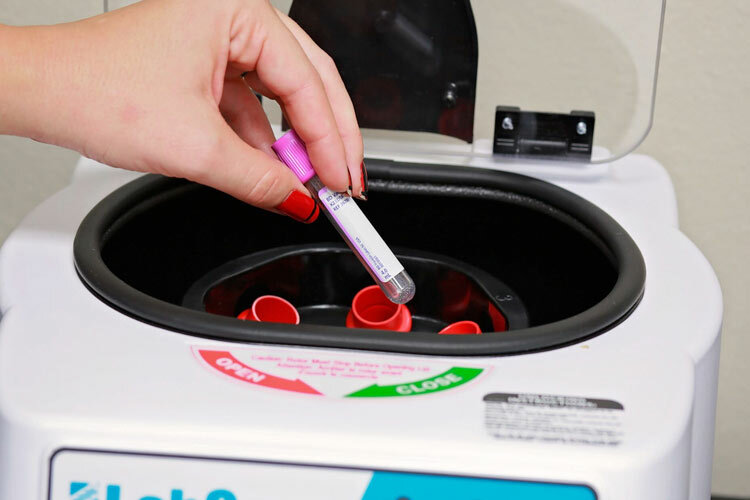 Our drug testing program operates through a trusted partnership with Labcorp, and your company will have results often on the same day of the injury. Our goal is to offer the best value and convenience to you as an employer and for your work-force needs. Other services at Lafourche Urgent Care include pre-employment physicals, respiratory fit testing, job related visual testing, and audiometry. We continually work with you to better service your company and employees, and we offer one-on-one consultations to better adapt to your goals and work-force needs. With your convenience in mind, Savoie’s Pharmacy provides complete pharmacy services. With your convenience in mind, Savoie’s provides complete pharmacy services and is open daily. They accept most major insurances and are happy to fill your prescription at the time of service. Just stop by their window on your way out and pick up your prescription. Point of care lab results are vital to delivering quality health care. To assist with our diagnostic evaluation, our clinic offers a wide range of on-site laboratory studies. Lafourche Urgent Care offers several specialty services for your health care needs. Our clinic provides full digital X-ray services with our modern radiology suite. Images are interpreted in real-time by a Board Certified Radiologist. Our full-time radiology technologists are always on hand to provide onsite digital X-ray imaging with the best quality possible. For broken bones and sprains, we offer complete casting and splinting services in our larger Orthopedic treatment suite. Some of our other specialty services include suturing of lacerations and foreign body removal (including foreign body in the eye). We also offer EKG diagnostic services for a rapid, painless evaluation of your heart. EKG results help our providers to differentiate serious causes of chest pain and elevations in blood pressure.